Ever wondered what could be done about those texting, tweeting, loud chatting, smelly food eating twats that fill the back rows of cinemas all over the country? Wonder no more. 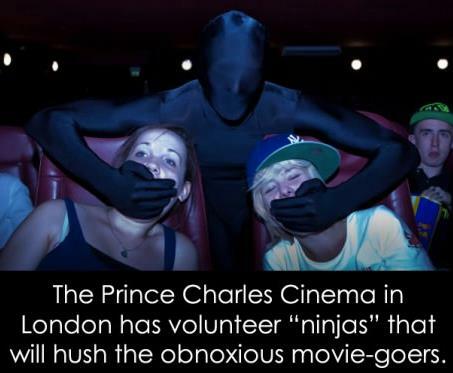 The Prince Charles Cinema has the answer. I really hope this is true. My question is: What happens after this photo is taken? Feel free to fill in the blanks. Broken necks too severe for you?